While the Pakistan-India tensions are known to flare up occasionally, the present one over the February 14 Pulwama incident has calmed down for the time being. However, in the absence of any political dialogue related to Kashmir, there is likely to be a next episode. Most assessments of the incident have examined the conflagration from a bilateral prism, and less emphasis has been directed on scanning the domestic and regional context under which the present tensions have taken shape. In the aftermath of the Pulwama incident, on February 26 India claimed to have carried out air strikes against militant training camps in Balakot, inside Pakistan. The attack indicated the evolution of Indian strategic thinking that border towards irrationality, and is more worrisome on what could come next. To the contrary, during the whole affair Pakistan exhibited mature escalation control in a nuclear environment. However, connections to groups like Jaishe-e-Mohammad (JeM), which accepted responsibility for the Pulwama attack, are adding to the costs for Pakistan. 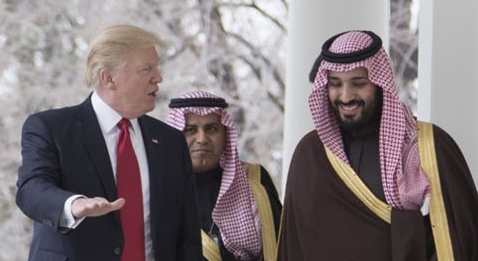 Palwama attack triggered a dangerous crisis between the two nuclear-armed neighbors; it represented a first foreign policy test for the Pakistan’s new economically strangled PTI led government, and was perhaps was meant to. Then there is the regional context to consider where Afghan reconciliation is swiftly moving forward with emphasis on four key segments: intra-Afghan dialogue, foreign troop withdrawal, counter terrorism assurances, and a ceasefire. 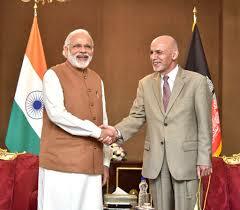 However, it’s unclear what the role of India, if any, would be in the Afghan settlement. If Pakistan plays a positive role in achieving a settlement to the conflict in Afghanistan, the US will have opportunity and motive to help Pakistan fulfill that role, as peace in the region is the most important mutual priority for the US and Pakistan,” he added. However, India cannot let Pakistan and China emerge as the chief beneficiaries of peace in Afghanistan, or to allow a return to the pre 9/11 geostrategic environment. The Pulwama incident once again raises Indian concerns and its attempts to place Pakistan at the center of cross border terrorism. Meanwhile, Pakistan tries to clear its culpability as the proceedings of Financial Action Task Force (FATF) and the United Nations Security Council take place. Since India and Pakistan conducted nuclear tests in 1998, there have been a series of major events risking full fledge war between the two nuclear neighbors, each times raising the stakes tremendously. – The Kargil War of 1999 was one such event. It was only after reports emerged that India was planning to open other fronts, and that Pakistan had started to move its nuclear weapons, was the conflict defused with the active US mediation. – The alleged Lashkar-e-Taiba (LeT) and JeM planned attacks against the Indian Parliament in December 2001, led to an extended stand off as both nations deployed conventional forces along the border. This confrontation also resulted in the Indian Cold Start Doctrine, which Pakistan countered overtime by developing tactical short-range nuclear weapons. – This was followed up by Mumbai attacks in 2008, for which LeT was once again blamed. The attack caused the deaths of more than 150 people, to include citizens of Israel and the US. Once again, India was prepared to launch a full fledge onslaught, which was only stemmed by active US diplomacy, and pressure on Pakistan to act against such groups and by conducting a transparent investigation. In the post 9/11 environment, Mumbai incident inflicted acute damage to Pakistan’s global image. – The killing of popular Kashmiri militant Burhan Wani by Indian security forces worsened the security situation in Indian Occupied Kashmir. In 2016 an alleged JeM planned attacks on the brigade headquarter in Uri, lead to the death of about 19 soldiers, followed by claims of surgical strikes by India targeting training camps in Azad Kashmir. Pakistan denied any such strikes tool place. The Uri attacks were preceded by similar incidents in Gurdaspur and attack on Pathankot Airbase. In the conventional arena, India has attempted to address the issue of Kashmir, and countering Pakistan, by strengthening its military presence in the Indian Occupied Kashmir, and escalating its kinetic tactics there. It has targeted four of Pakistan’s sensitivities dealing with maintaining territorial integrity, military parity, economic viability (includes water resources), and political harmony. According to Times of India, in 2018 Indian defense budget stood at $58.6 billion, compared to $26.6 billion in 2008/09. On the other hand, Pakistan defense budget for 2018 was around $11 billion, compared to $4.2 billion in 2009 (Source: Defense Industry Daily). For 2018, Indian defense expenditure reflected 2.1% of the GDP, while that of Pakistan represented 3.6% of the total GDP (Source: Times of India). Quoting Stockholm International Peace Research Institute (SIPRI) 2018 data, India has remained the largest importer of major arms, making up 13% of the global sales. Secondly, using its newfound economic prowess and strategic ties to the US, India has attempted to isolate Pakistan in different global forums while maligning Pakistan’s military as rogue – and thus building a case of international sanctions. Moreover, it has threatened to curtail water flows to Pakistan, agreed under the Indus Basin Treaty. 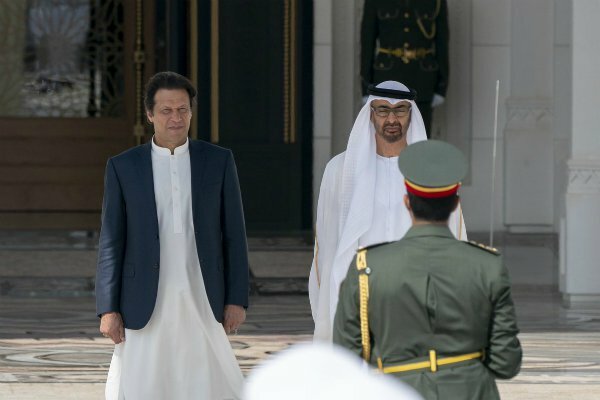 Thirdly, India has been working to curtail sources of Pakistan’s traditional support, such as from the Gulf States, and has been attempting to tilt these ties in its favor. This was recently exhibited when Organization of Islamic Conference (OIC) for the first time invited the Indian foreign minister to its meeting. Fourthly, India has attempted to deepen the civil-military, ethnic, and liberal-conservative fissures in the country, and ceased all sports and cultural ties. In the domain of unconventional warfare, Pakistan has accused India of using proxies from Afghan territory to launch terror attacks inside Pakistan, which have caused thousands of causalities. India has also been supporting militants to destabilize Balochistan province and to cause friction with Iran. The Indian role in transforming the former East Pakistan in to a new state of Bangladesh has been accepted by Prime Minister Modi himself. The strategists in India have hopped that through the above mechanics, it would be able to strangulate Pakistan and change its traditional support for Kashmir. In essence, India has presented its interests as aligned with the US and the West, especially as they relate to extremism. This has been further reflected in the Indian thinking by the use of phrases like ‘surgical strikes’ etc., of the sort US has used in its campaign against terrorism. Moreover, Indian approach towards Kashmir presents similarities with the Israeli strategy towards Palestine. In the broader geopolitical context, what strategic calculus is India attempting to address and alter by building a narrative of a surgical strike inside Pakistan, and how is this different from its past posture – or anything else India has attempted previously? Moreover, with retaliatory action by Pakistan and repeated messaging from Prime Minister Khan, the nation made it unequivocal that the matters could easily escalate in to a nightmarish nuclear exchange. As Pakistan employs the first use doctrine, it would have no choice if matters had escalated beyond a certain point. At the same time, it was practicing a ‘graduated response’ to the evolving situation, and exhibited ‘escalation control’ when it unilaterally released the captured Indian pilot, Abhinandan Varthaman. Through the use of surgical strikes, India most likely meant to test Pakistan’s first use threshold. India would prefer to utilize its superior conventional advantage rather than resorting to mutual annihilation approach. This is why it is important for India to test Pakistan’s nuclear first use threshold. Through the surgical strike claim in 2016, and now in the case of Pulwama, India has been checking Pakistan’s limits, and the International response to any serious crisis. The perceptions become critical when nuclear weapons are involved, the ramifications of a nuclear exchange go much beyond the geographic confines of South Asia. While the claims of Indian surgical strikes in 2016 could not be independently verified, and were carried out in Pakistan side of Kashmir, therefore the country did not feel a need to respond. There was no such ambiguity when Indian jets crossed over and claimed attacking militant camps inside Pakistan in Balakot. The country not only acknowledged but also responded. Irrespective of if Indian strikes caused any damage, it carried a more serious symbolic implication. And this was also the reason that Pakistan had to retaliate to demonstrate its strategic will and capability. 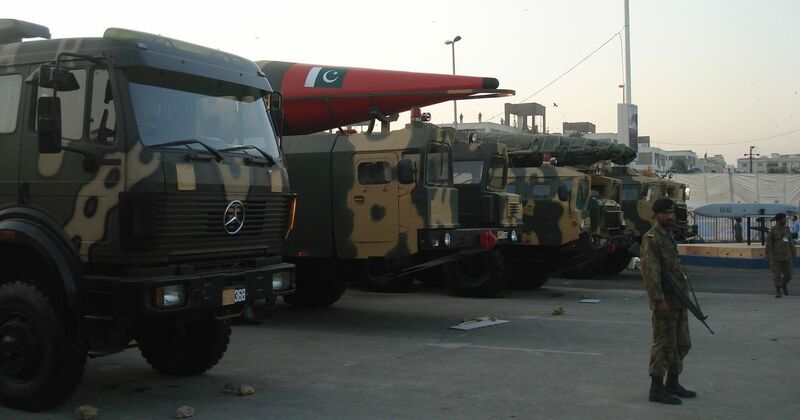 Indian experimenting with Pakistan’s first use threshold suggests that when the next attack in Kashmir or India occurs, it would want to have the space to launch punitive strikes without worrying about nuclear repercussions. Pakistan, on the other hand, would like to convey in no uncertain terms, that there are no grey areas – if such an eventuality took place. The drone strikes that US carried out in the FATA region under Bush and Obama, whether with Pakistan’s acquiesce or not, may have conveyed the wrong message to India. There are huge discrepancies between the military prowess of US and India, demonstrated by the downing of Indian fighter jet, and a number of other technical mistakes that went along. In its desire to be seen as a global player, India has inadvertently exposed its conventional vulnerabilities and international repute. Moreover, simply labeling every incident in Kashmir to have been supported by Pakistan does not absolve India from acting rationally. Even at the height of Cold War, US and former Soviet Union avoided direct confrontation. Meanwhile, whatever Pakistan may have done in the past, the present requires a course correction; the Kashmir cause is much damaged when groups like JeM accept responsibility for carrying out attacks in India, or Indian held Kashmir.